Explore the magic of Mont Blanc Ski Touring and all that Ski Touring in Chamonix has to offer. Using the ski lift system, you can access even the most remote corners of the range on the daily ski tours with your local guide. All about the Ski Touring in Chamonix, Mont Blanc Ski Touring, 5 Days, France. 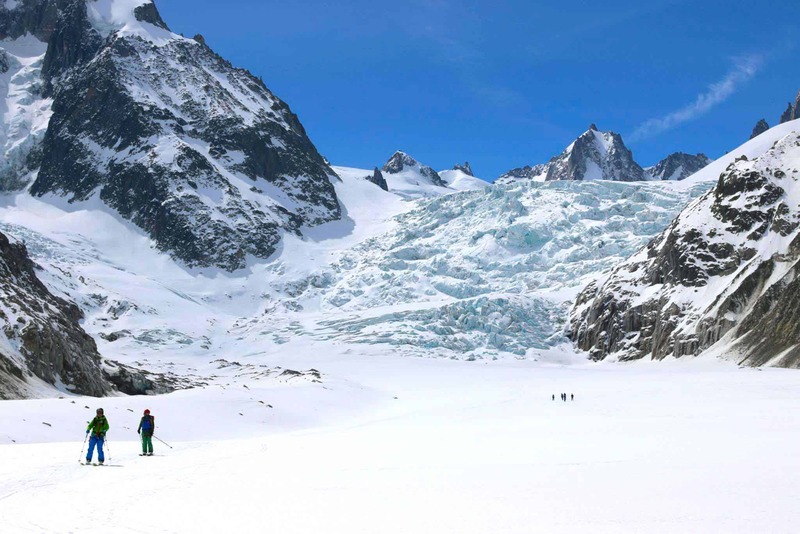 Ski touring in Chamonix is an iconic experience steeped in history. 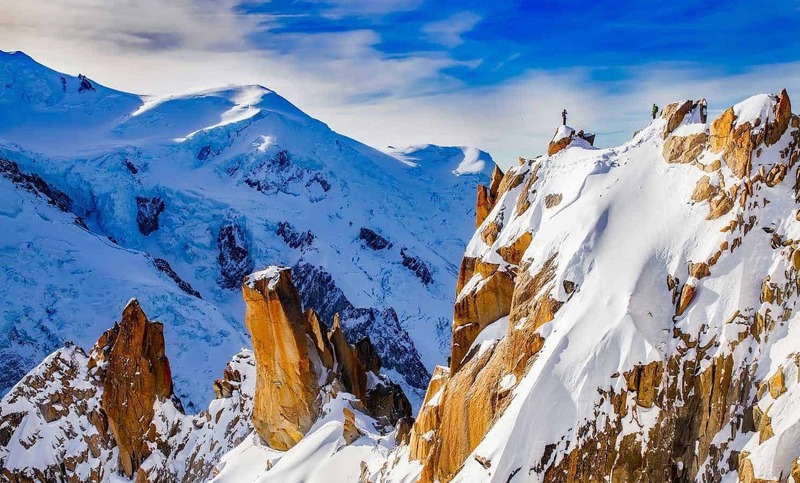 You get to base yourself in Chamonix and enjoy all that this famous ski region has to offer. The ski area is supported by great infrastructure like gondolas and chair lifts which make the mountains easily accessible. Our local guides have a huge knowledge of this region and know where to find the best skiing in some of the most spectacular terrain. Experienced and trusted ski touring partners. 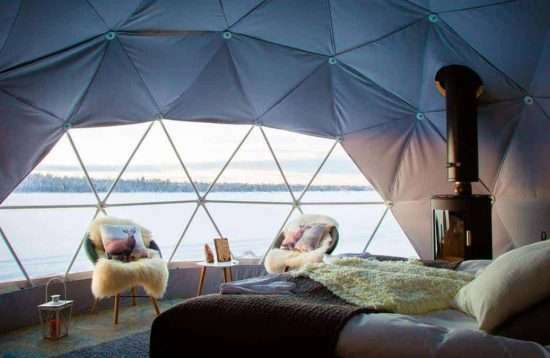 This is a perfect active holiday for anybody who loves skiing, snowboarding and the mountains. It’s an iconic region that will give you both inspiring skiing and great apres ski evenings in Chamonix. Our local guides will help you find the terrain that’s perfect for you, whether you’re an expert skier or a beginner. 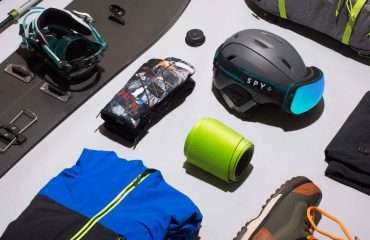 So, this is good for all levels of skiing or snowboarding experience. You should have at least average fitness though. 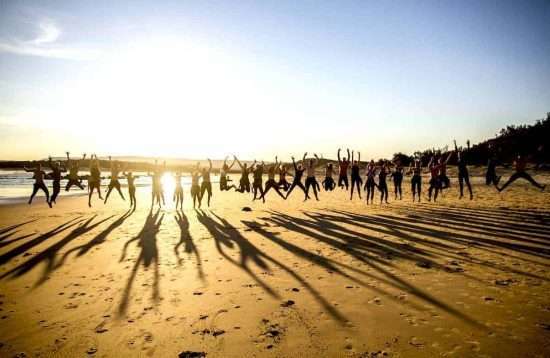 It’s a great option for a group of friends, families or couples. The season is from January until the end of May. Just request the dates that are best for you and we’ll do our best to accommodate them, or send us an email or give us a call and we can discuss options anytime. Arrive into Chamonix and overnight at hotel. From the village of Coupeau, it is a gentle ascent through the forests that takes us up past Chalet de Chailloux. Now, we are well above the tree line and the open slopes take us up to one of the best view points of the entire Chamonix valley. 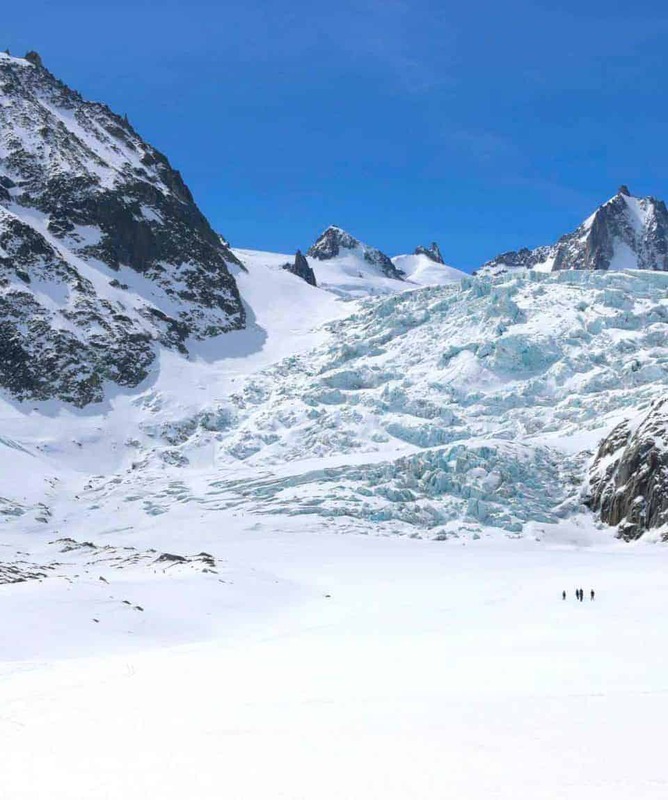 At the top, we are rewarded with amazing scenery of the Argentière basin with views of the summits of the Aiguille Verte, Les Droites, Mont Dolent and the Aiguille de Chardonnet. Starting from the La Flegérè, we take a cable car and chairlift to l’Index. 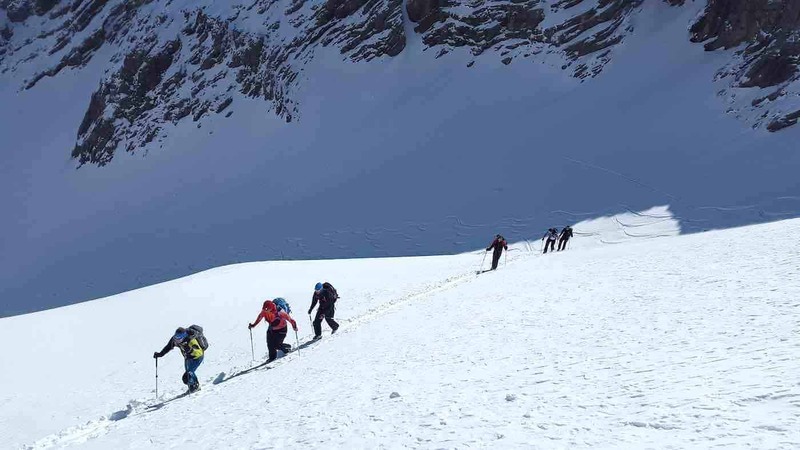 Our first climb up to the Col des Crochues (2704m) is started on skins, before a final boot pack with skis on rucksacks up to the Col. A long traverse descending into the Aiguille Rouges Nature Reserve takes us to our second 200m gentle climb on skins to the Col de Bérard (2469m). All of our efforts are now rewarded with a stunning ski down the Combe de Bérard to the village of Le Buet. From here, we take the train back to Chamonix. 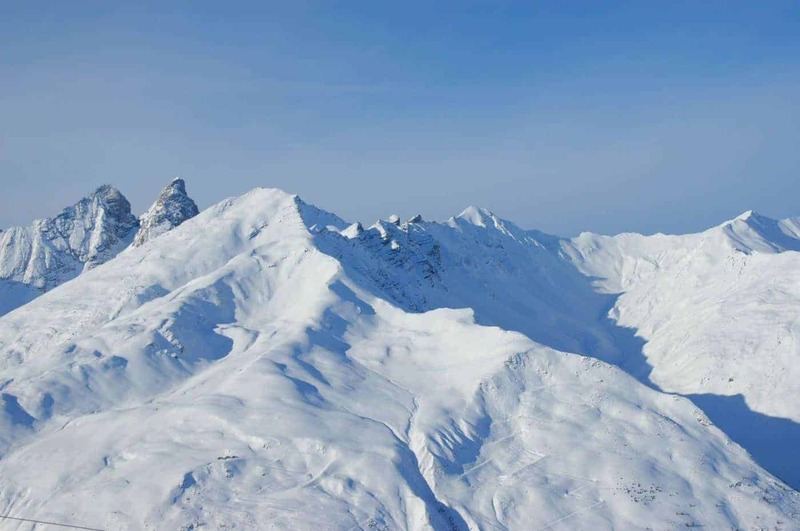 From the Le Tour ski area, we have a climb of 650m up to the Col before a brilliant descent on North facing slopes that often hold very good powder snow. This takes us down to the village of Trient in Switzerland. A bus and then train take us back to Chamonix. 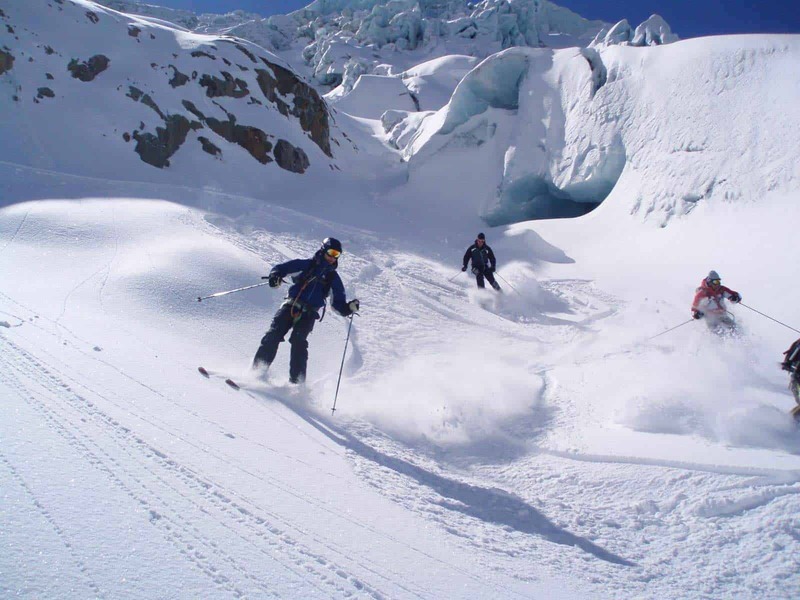 Any ski trip to Chamonix wouldn’t be complete without a descent of the Vallée Blanche. 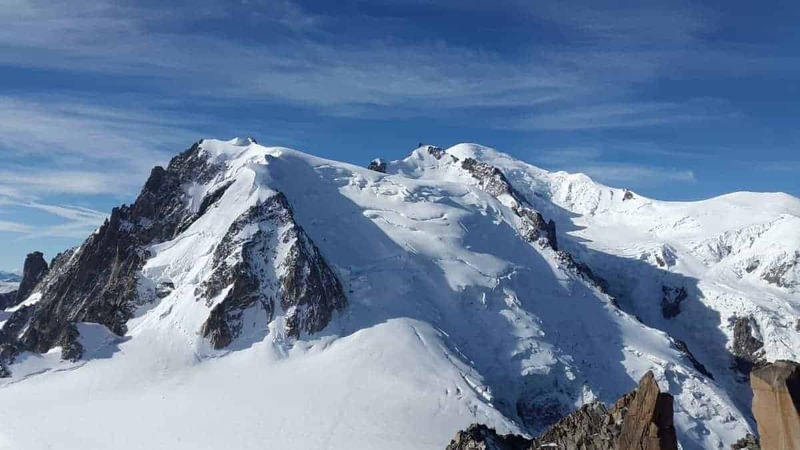 From the Aiguille du Midi, we ski down the classic Vallée Blanche to Pointe Adolphe Rey before putting our skins on and climbing for 2 hours up to the Col d’Entrèves on the Italian border. Now it is time for our final run down the majestic Vallée Blanche, before heading back to Chamonix for a celebratory cold beer. 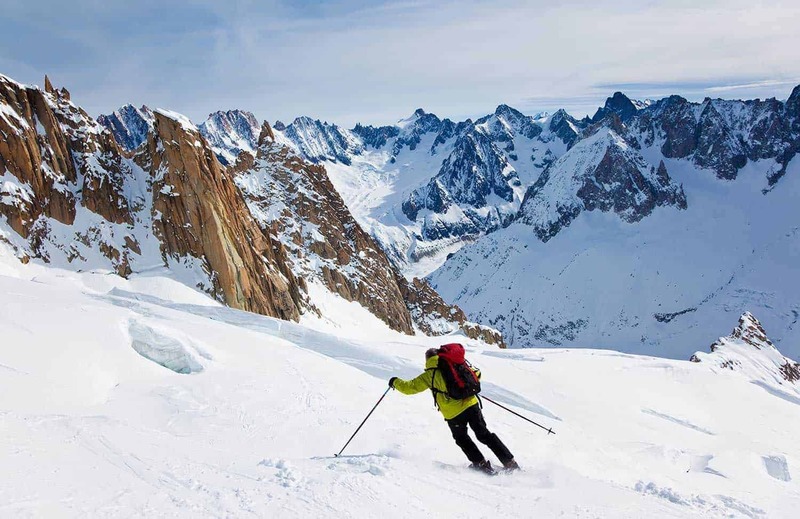 Explore the magic of the Mont Blanc Massif and all of the Ski Touring in Chamonix has to offer. 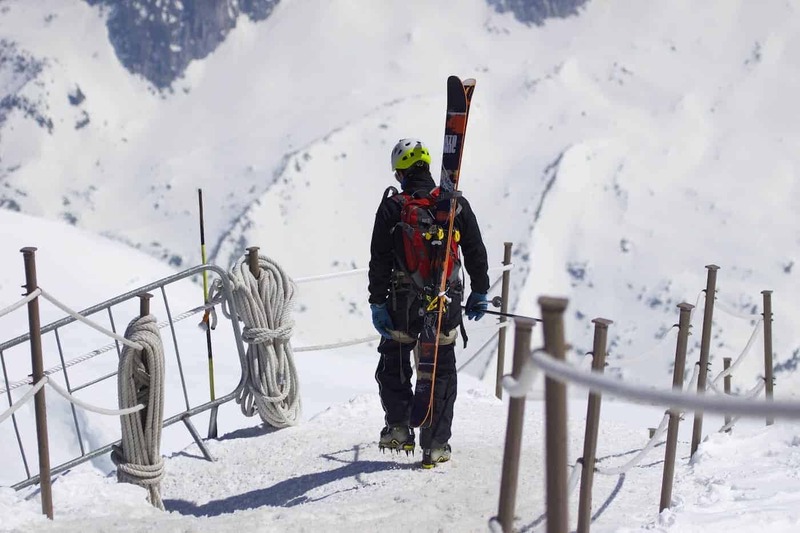 Utilising the extensive ski lift system infrastructure, it is possible to access even the most remote corners of the range on the daily ski tours with your knowledgeable guide. 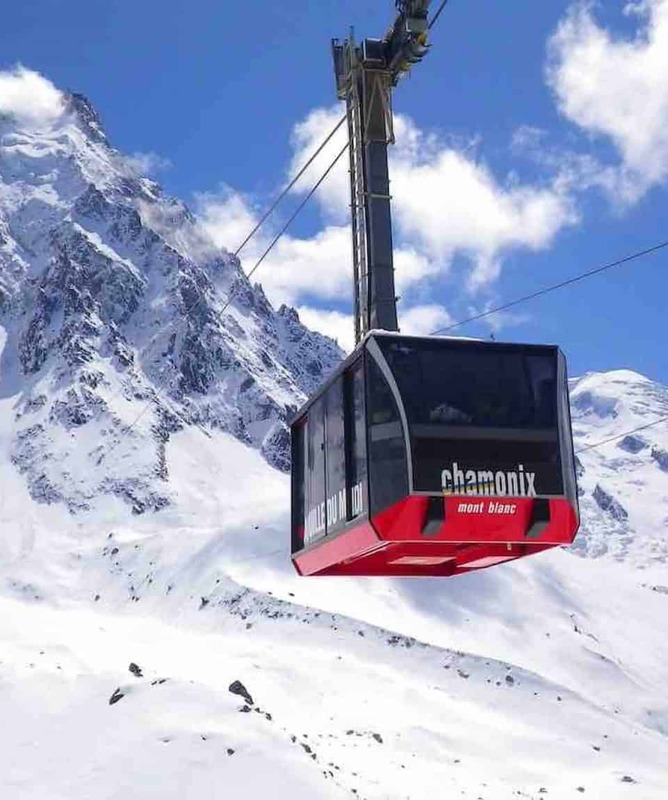 By staying in a Chamonix each night, this gives you the chance to relax, recuperate and soak up the atmosphere of Chamonix with its great selection of bars and restaurants. An amazing network of lifts provides quick access to an unimaginable array of terrain on downhill skis, and for those with ski touring equipment, the availability of terrain is even greater. 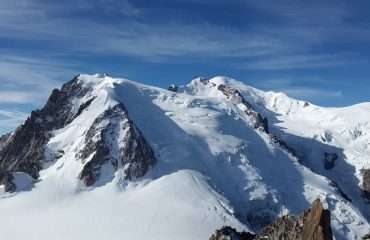 Classic ski runs such as the Vallée Blanche and the Grande Montets can be combined with ski tours around the Brévent, Les Trois Cols or the Crochues Bérard, to make up a multi-day program. 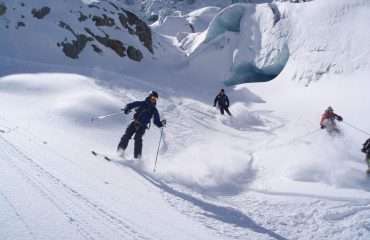 Our resident guides have a comprehensive knowledge of the region and know where to find the best skiing in some of the most spectacular terrain. Our guides are in cell phone communication with our operations base throughout the trip. This assists us with schedule and weather forecast updates, lift and accommodation co-ordination and safety back up. Your own mobile phone should work in the region though you may want to check with your own service provider first. Local mobile phones can be rented at international airports. 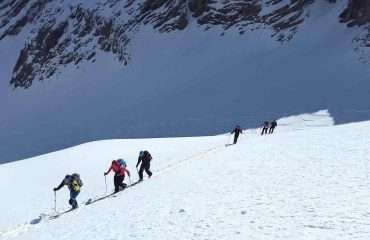 The number of guides is determined by the size of the group while Ski Touring in Chamonix, the ratio of guides to skiers is 1:2 or 1:4 depending on the skill level of the group. 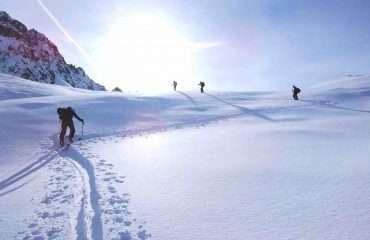 You will find our Mountain and Ski Guides strong and companionable with the capacity and willingness to see you enjoy your journey through the Alps on skis. 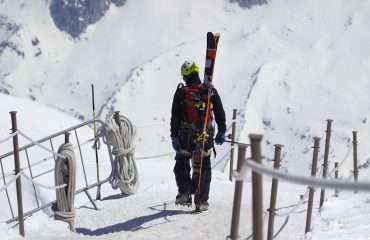 Skiing and climbing in the European Alps require that you have high-quality clothing and equipment due to the extremes of weather conditions. You will be sent a clothing and equipment checklist on confirmation of your booking. 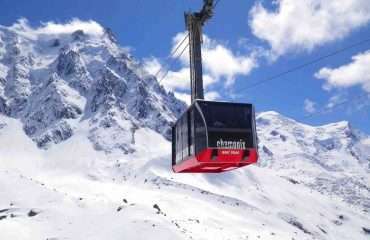 A selection of rental equipment is available in Chamonix should you need to hire any equipment. 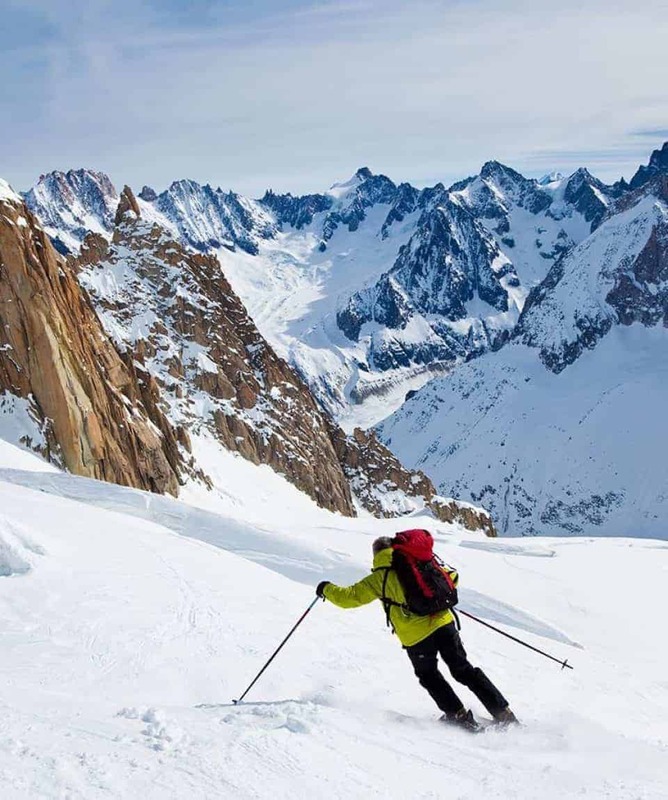 To Ski Touring in Chamonix, the European Alps, you will need to be able to link parallel turns in all types of off-piste snow conditions, be physically fit and have a minimum of 5 days ski touring experience. Even skiing and climbing at the moderate altitudes in Europe has a definite physical effect on people. 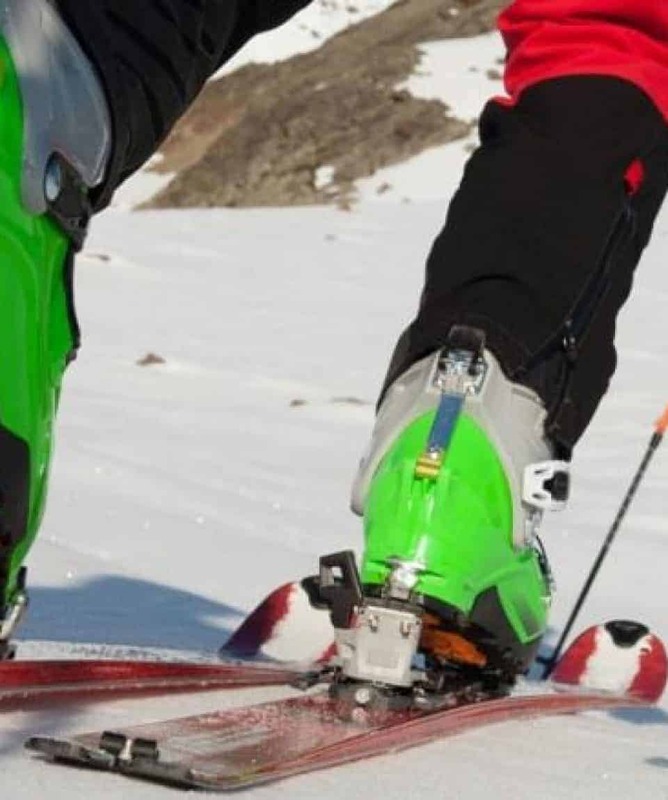 Most climbers and skiers notice a lower performance rate than normal. 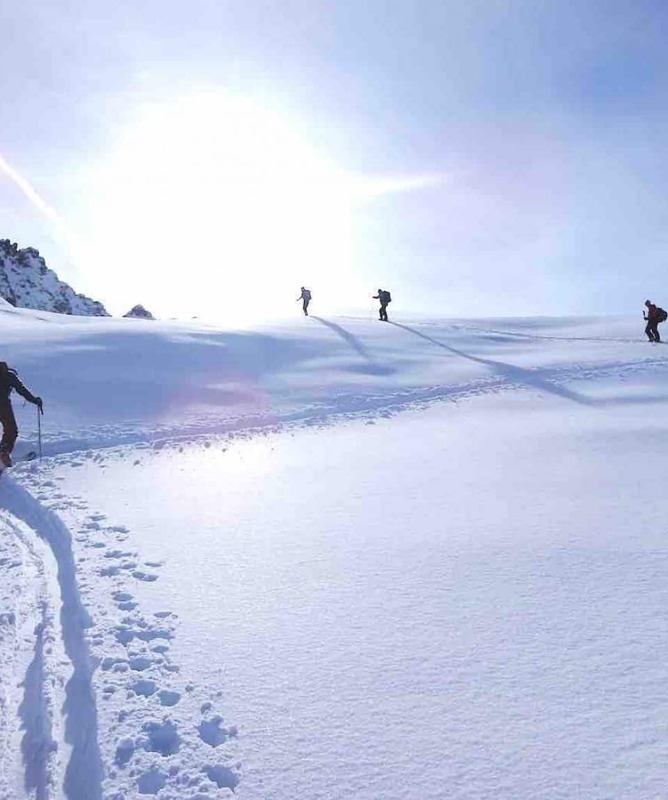 Ski touring days are physically demanding and can entail a 1,000m/3,300ft ascent at altitude. We strongly recommend that you take out trip cancellation and travel insurance to protect yourself in the event of injury or mishap prior to/or whilst on our trips. While our focus is on safety and our track record supports this, the mountains do have hazards and there is the potential for mishap. If you were injured whilst on the trip, there is a very efficient rescue service nearby. We commence and finish our Chamonix Ski Touring Week and Weekend in Chamonix, France. The closest international airport is in Geneva, just over the border in Switzerland. Regular shuttles operate up to Chamonix and the trip takes about 1.5 hours. We can help you arrange shuttle transport and your shuttle driver will drop you at our accommodation. At the completion of the course, the shuttle can take you back to the airport. The shuttle transfers are at your own cost. Accommodation is provided on a twin share basis in hotels for 6 nights. The hotels we utilise are clean and comfortable. If you want single accommodation or a higher standard of accommodation, we may be able to arrange this for you. Please inquire about options and costs at the time of enquiry. We will provide nutritious snacks and packed lunches whilst touring. Should the group decide to take a restaurant lunch that is not in the program, that will be at your own expense. It is a good idea to bring a small selection of your favourite snack food and hydration drinks with you to ensure you are fuelled by your preferred brands. Actual amounts depend on your consumption but 2 per day in addition to the lunches we provide would seem reasonable. You will be required to pay for your evening meals. Any additional food, beverages or meals you purchase that are not mentioned in the inclusions will be at your own expense. 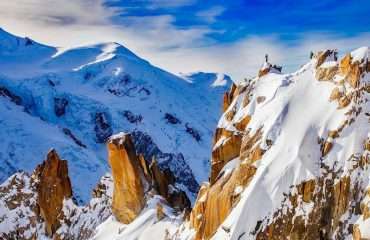 The European Alps are full of climbing and skiing history. 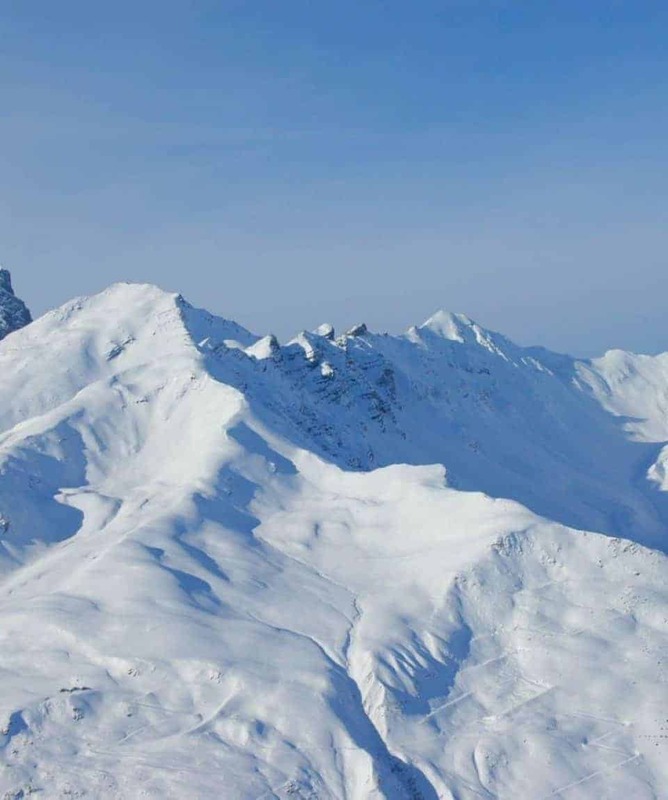 They are the birthplace of mountaineering and the rich heritage adds to the superb facilities (catered huts and lift systems), which provide for mountaineers and ski-tourers that is not seen elsewhere. 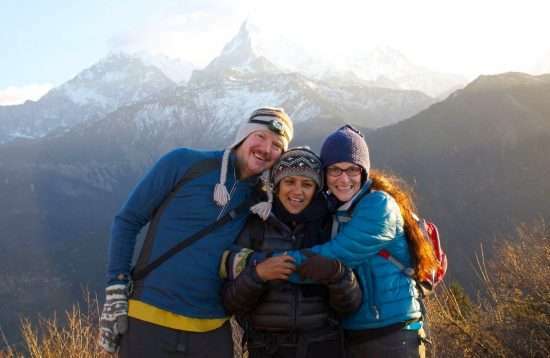 Your guides are BMG/NZMGA and/or IFMGA-UIAGM qualified mountain guides. They are professional mountaineers and operate to the highest industry standards. Being a technically proficient climber alone is not enough to work with us; our standards demand that trip leaders are great guides as well. 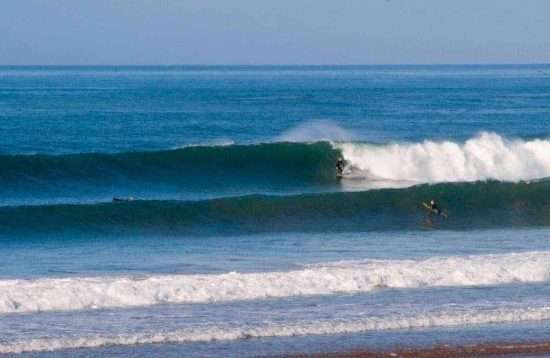 You will find your guide friendly, approachable and focused on providing a safe and enjoyable trip in line with your objectives and comfort level. Our partner producing this trip only employs IFMGA qualified guides for European ascents and courses and this is the only certification that is recognised in the French Alps. 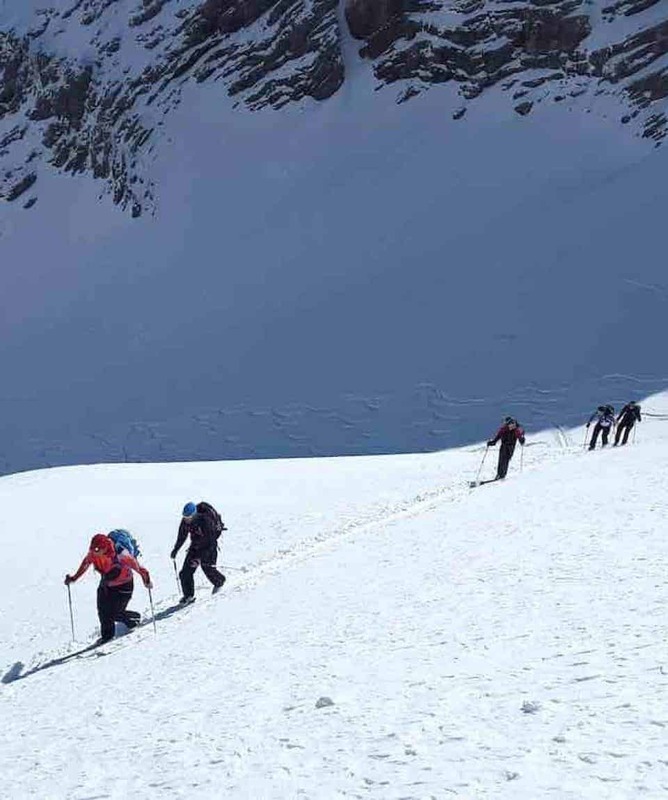 In order to gain these qualifications guides must undergo rigorous training and assessment on climbing skills, instructional skills, avalanche training and assessment, wilderness first aid, rescue training and much more. The qualification takes many years to attain and ensures you are getting a world-class professional service. 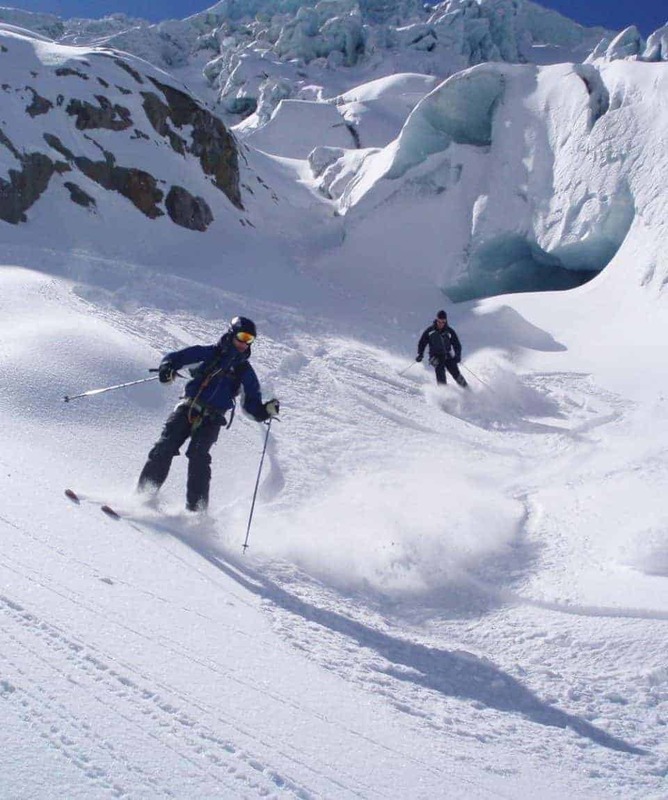 To ski tour in the European Alps, you will need to be able to link parallel turns in all types of off-piste snow conditions, be physically fit and have a minimum of 5 days ski touring experience. Even skiing and climbing at the moderate altitudes in Europe has a definite physical effect on people. 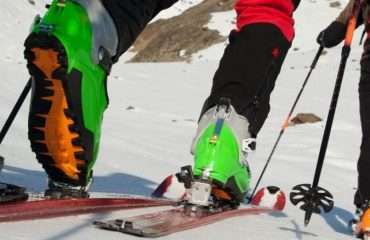 Most climbers and skiers notice a lower performance rate than normal. 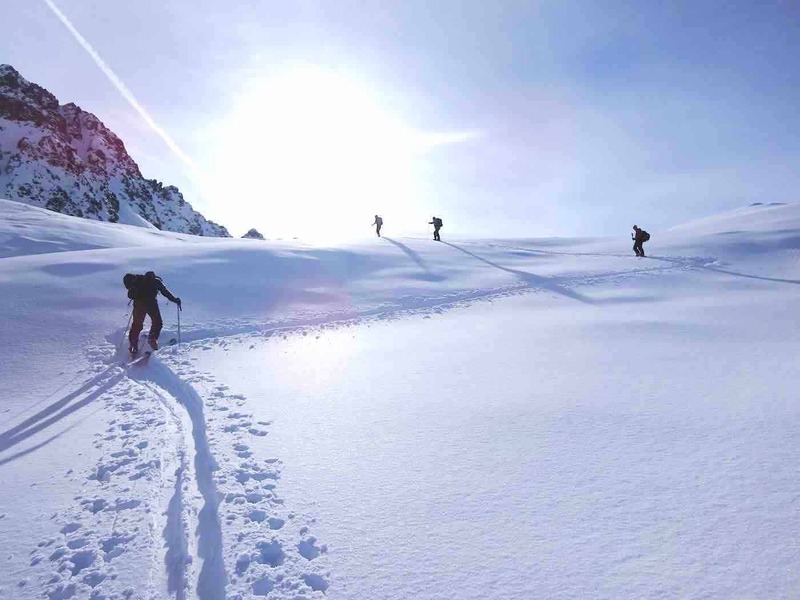 Ski touring days are physically demanding and can entail a 1,000m/3,300ft ascent at altitude.